Are you interested in making side money online in addition to your full-time income? Passive Income can be quite powerful and is great to supplement other income! Here are some other ways you can earn money on the side: - Join InfoBarrel and start writing to immediately earn passive income from your articles. - Invest in Real Estate for passive income - cash flow is king! A good multifamily property should get you a nice 20 percent cash-on-cash return. Best of luck! If you are looking for help on the web to get your finances in order, you need to follow some of the best personal finance blogs or websites! some of these blogs are truly inspiring and motivational, as you'll find countless stories of rags to riches and people that have paid off tremendous amounts of debt. You'll also find how-to articles, like how-to earn extra money on the web to pay off debt, and how to get started investing for passive income. Here I will list some of my favorite financial help websites or blogs of all-time! These Websites Make Personal Finance Fun and Exciting! #5 Get Rich Slowly - www.getrichslowly.org. This is truly the personal finance website "that makes cents!" Get Rich Slowly has so much useful information. The blog was founded by J.D. Roth in April 2006. It offers advice on how to get out of debt, save more of what you make, and lists a comparison of some of the highest yielding checking accounts and lowest interest rate credit cards. The site was named a "Best" blog of 2011 by Time Magazine and in 2008 was named the Most Inspiring Money Blog by Money Magazine. I recommend reading the post "Free at Last!" which goes into detail on one man's journey eliminating $35,000 in debt. It's VERY inspirational! Your guide to financial fitness. I like Money Crashers because they have plenty of in-depth reviews of financial products like credit cards and websites like Manilla. They also offer some really awesome tips on how to make money from home, legitimately. Check out their article, "10 Best Ways to Make Money from Home." I actually read the best-selling book of the same name first and then transitioned to the blog, even though the blog came out first. 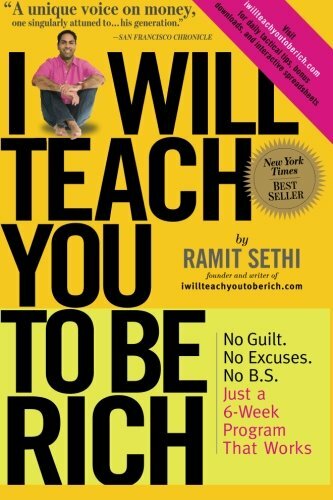 Ramit Sethi is money master and his style of writing is very easy to follow and understand. He's helped literally thousands of people turn their lives around because of this! This blog has great tips on how to earn extra money on the side, finding your dream job, and most of all, automating your finances, which is one of the main strategies he follows and teaches. One of the best personal finance books ever! "Helping you become a better home economist." This website is amazing at helping people find money saving coupons, deals and basically every way you can save money where you never even knew it! There are also a ton of great time management articles and ways to live a more meaningful, fruitful life where you don't always have to worry about your finances. My favorite series on the site is "Time Management 101." We all have the same amount of time in each day - 24 hours - so we might as well make the most of it! You can save thousands of dollars a year reading this blog and her book! 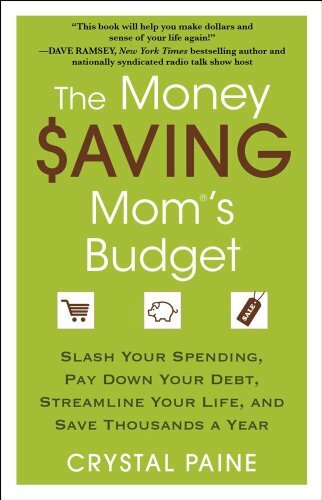 The Money Saving Mom's Budget book is a best seller on Amazon. In order to have money to invest.. you need to save it! In order to save it, you need to keep your income higher than your expenses, plain and simple. This website will help you do just that. Like the Money Saving Mom, this is a tremendous resource for family's looking to save tons of money! You can print coupons directly from the site. If you change the way you spend money... and you treat every single dollar as an investment... then after a while you will find that you have more money in your bank than you thought! The blog also has a number of useful links to make money online easy, including legimate online surveys and freelance writing opportunities. - Have dead money sitting in the bank? Looking for some investing advice? Find out How to Make Your Money Earn You More Money! - What is passive income and why is it so powerful? Learn how you can start making money in your sleep right now - Great Passive Income Ideas! - Are you a 20-something like myself and want financial advice specifically related to your circumstances? After all, we can't all make six figures from day one - you have to work your way up. Here are two of my favorite blogs that give financial advice to 20-somethings! 20SomethingFinance.com - Advice specifically geared towards recent college grads and 20-somethings including tips on funding your 401K and Roth IRA. It's a very personal blog for the creator, G.E. Miller: "I went from zero savings and significant debt after graduation to saving over 85% of my income in just a few years." MoneyUnder30.com - Credit cards, debt help, budgeting, investing, taxes, and much, much more! Thank you for reading this article on the top personal finance blogs and websites to follow - I hope they help you achieve your financial goals ASAP!